Why replace when you can repair or restore for a fraction of the cost of new? 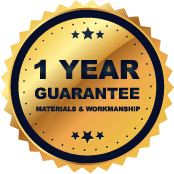 Creations Direct Furniture Repairs have over 24 years experience in upholstery and re-upholstery, French polishing as well as modern day polishing and leather restoration from one cushion to a full suite. We specialise in direct furniture repairs in your home, serving the Beverley, Hull and East Yorkshire area. We cater for most jobs, including: scratches, tears, rips in leather and fabric, broken rails, cracked frames, stitching, arm cards, padding and collapsed cushions, broken springs, webs, spring units, recliner mechanisms on your upholstery, leather sofas and chairs.